I’m designing a line of jewelry for one of my favorite places, Sundara. Nestled in the Blue Ridge Mountains and surrounded by apple orchards, it’s the home of my mom’s sister, after whom I am named. She’s made many folks happy by sharing this amazing place as a venue for weddings and special events. 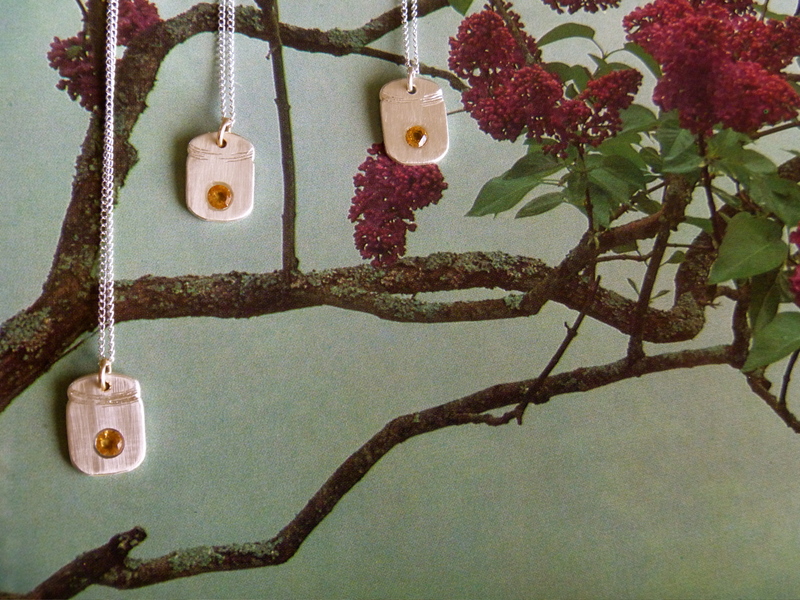 The pieces I’ve designed are inspired by it’s beauty, and represent some of the magical moments that abound there – including a recycled sterling silver pendant set with a sparkly citrine and hand engraved to resemble one of the Mason jar lanterns that light up the trees.